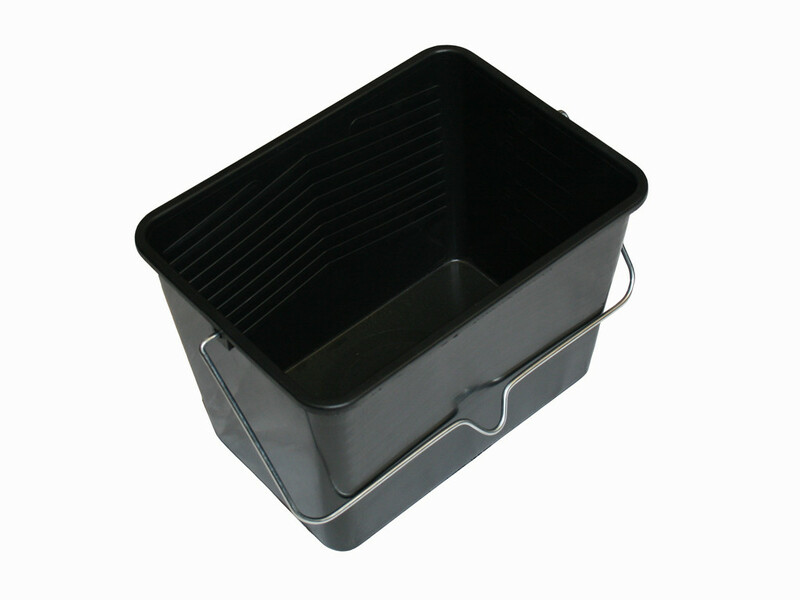 Plastic paint scuttle, 8 Litre capacity and 8 Inches wide, manufactured using sturdy impact resistant plastic. 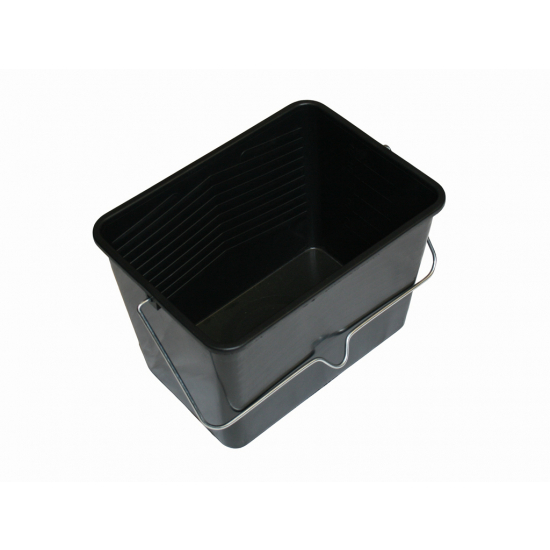 Plastic paint scuttle, 8 Litre capacity and 8 Inches wide. Manufactured using sturdy impact resistant plastic, wire carry handle with central notch, takes all rollers up to and including 7 inches wide. Suitable for use with both water and solvent based paints. Rounded internal base so you can load your paint roller easily, and for easy cleaning and graduated measuring scale. Approximate internal dimensions (bottom) 9 x 5 inches, (top) 10 x 8 inches, (height) 7.5 inches.